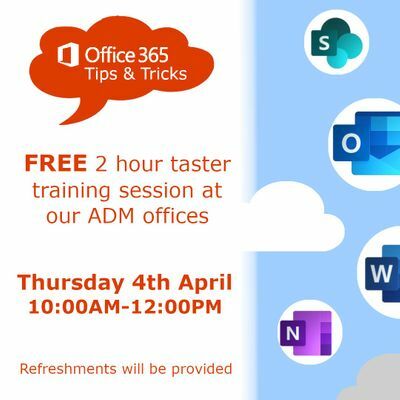 ADM Computing is hosting a free 2-hour training session for up to 2 members of staff per company. Thursday 4th April 2019, 10:00AM - 12:00PM. Refreshments will be provided. Most people think they know how to use Microsoft Office packages. 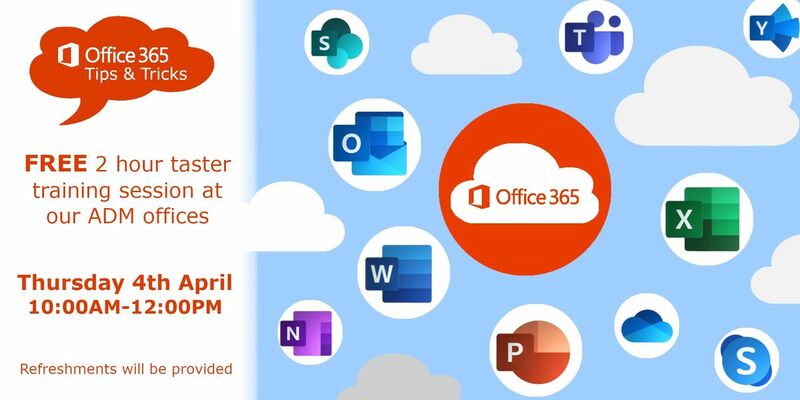 The fact is, most people waste vast amounts of time because they are simply unaware of Microsoft's enormous potential to produce documents quickly, accurately and efficiently... often at the press of a single key! For any business, TIME IS MONEY. Alex Waterton's Tips and Tricks training session is a great way to learn new skills. Why bumble on documents at a snail's pace when you could be transforming a complete document in an instant! However good the software, it is only as good as the skill of the person using it!